She won a Golden Globe Award for the miniseries Hysterical Blindness (2002). Her career was revitalized when she reunited with director Quentin Tarantino to play the central role in two Kill Bill films (2003/2004), which brought her an additional two Golden Globe Award nominations and a BAFTA Award nomination. Thurman was born in Boston, Massachusetts. Her father, Robert Alexander Farrar Thurman, a New York-born professor, is a Buddhist writer and academic. Her mother, Nena von Schlebrügge, is a model who was born in Mexico City, Mexico, of German, Swedish and Danish descent. Thurman and her siblings spent time in the Himalayan town of Almora, Uttarakhand, India, during childhood, and the Dalai Lama, to whom Robert Thurman has long been close, once visited their home. She grew up mostly in Amherst, Massachusetts, where she went to Amherst Regional Middle School, then moved to Woodstock, New York. While her father gave his children a Buddhist upbringing, she has the same name as one of the Hindu goddess Parvati's alternate names, "Uma", which means "light" in Sanskrit. Regarding religion, she now calls herself agnostic. She has three brothers, Ganden (b. 1968), Dechen (b. 1973), and Mipam (b. 1978), and a half-sister named Taya (b. 1960), from her father's previous marriage. She is described as having been an awkward and introverted girl who was teased for her tall frame, angular bone structure, enormous feet and unusual name (sometimes using the name “Uma Karen” instead of her birth name). When Thurman was 10 years old, a friend's mother suggested a nose job. As a child, she suffered bouts of body dysmorphic disorder, which she discussed in an interview with Talk magazine in 2001. 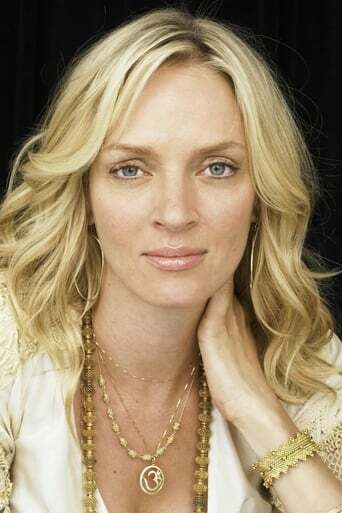 Uma attended Amherst Public Schools. In the eighth grade, she discovered her love for acting. Talent scouts noticed her performance as Abigail in a production of The Crucible and offered her the chance to act professionally. Thurman attended Northfield Mount Hermon School, a preparatory school in Massachusetts, before dropping out to pursue a career in acting.